Sometimes you want a beer, then you realize how much crap you need to do before you call it a day. This is it. 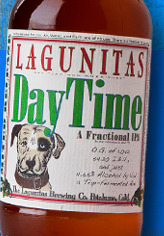 Nicely dosed with Big, Round Hop Flavors and a Toasty Malt Foundation to satisfy your every need. But it still lets you stay in the game to do what needs to be done. Yup. Come taste with Jonny Ver Planck, the master distiller of Planck & Anchor Rum. Les Bourgeois Vineyards, a Missouri-based vineyard and winery in Rocheport, MO, has partnered with a local distiller to launch a craft distillate brand -- Planck & Anchor Distillers. The brand name is derived from distiller Jonny Ver Planck of Jefferson City. Ver Planck's history and experience with distilling is rooted in the tropics and represented in the brand and products. "It really started out of an idea to distill vodka and go straight from the still to bottle and to drink at my own bar I planned on opening in Belize. Once I started distilling I quickly fell in love and got back to my rum. To put it shortly, I travel the world for work and try liquors from all over with many people and I love the way it brings culture and people together the same way music, my other job, does," said Ver Planck. The flagship products being released under the Planck & Anchor Distillers brand are the Rocheport Rum line of white, gold, coconut, aged and spiced rum along with a vodka and gin. The first of these products will be the white rum launching on May 1 with the gold to follow closely thereafter. This new endeavor will provide Les Bourgeois with opportunities to expand their product line without affecting the quantity of wine production. "The relationship between the winery and the distillery is symbiotic. We already have the tools it takes to have a successful fermentation. It also gives a second life to the winery's tanks. Once you have fermented your vintage and finished that year's wines, your tanks sit empty for a good portion of the year," said Jacob Holman, winemaker at Les Bourgeois. "With this collaboration you can ferment non-grape products in your off season getting more value out of your tanks." Les Bourgeois Vineyards has installed two small stills in a portion of old the wine production facility, which used to be Pete's Cafe. While the distillery space is still under construction, distilling has continued. After much analysis and fine tuning they have perfected their white rum product and are in the process of the first bottling run. Renowned for its spectacular bluff-top view of the Missouri River Valley, Les Bourgeois Vineyards and Winery is one of Mid-Missouri's premiere cultural and recreational attractions. Upon completion of construction, Les Bourgeois hopes to increase tourism traffic to the Columbia area and enrich the experience with the multifaceted location. A family owned and operated vineyard, Les Bourgeois offers a unique combination of rural quaintness and accessibility. Just off interstate 70, guests may take a tour of the new production facility, sample a selection of award-winning Missouri wines, indulge in a meal at the bluff-top Bistro overlooking the Missouri River or share a quaint picnic at the A-Frame wine garden. For additional information, visit: http://www.missouriwine.com. 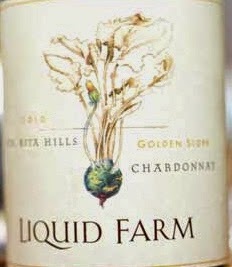 The folks behind Liquid Farm are dedicated to making the best wine possible by starting in the vineyard and letting the quality of the fruit speak for itself. 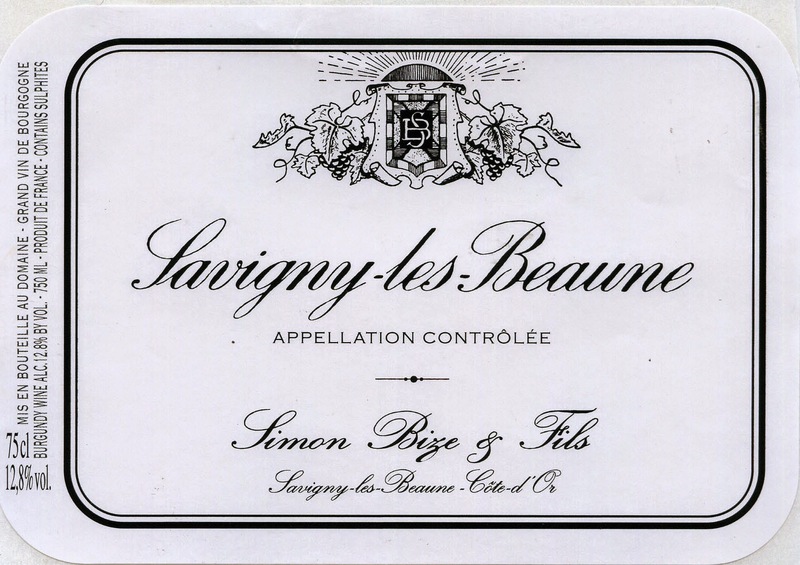 Their philosophy of little to no manipulation in the cellar leads to to wines of outstanding balance and texture while maintaining beautiful natural acidity and ripeness of fruit. Our allocation is tiny so please call (314)727-8788 or email aaron@wineandcheeseplace.com for availability. AGING: 14 mos.. Neutral Oak with 25% new. A Four barrel tribute to our 4 barrel start in 2009. AGING: 14 mos. 82% Neutral. 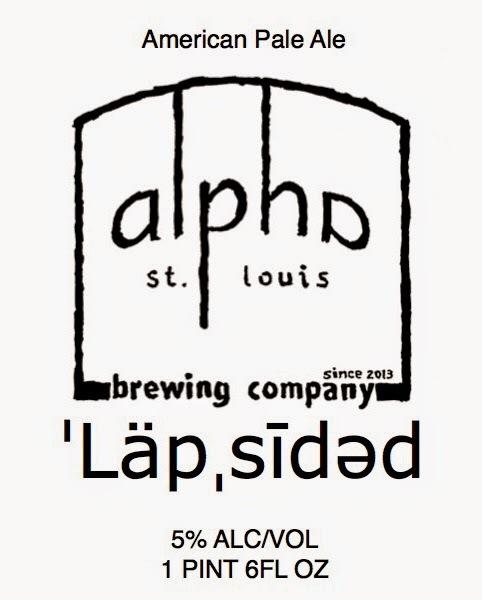 15% New w/ Native Yeast Fermentation. The richer of the two bottlings, with a small amount of new barrel to add warmer tones and a more voluptuous texture, all the while maintaining restraint and intense structure. VINEYARDS: Bent Rock, Zotovich, Kessler-Haak, Rita's Crown, Huber, Radian & Clos Pepe. The leaner and more Chablisiane of our two Chardonnay bottlings, White Hill highlights the unique salinity that comes through in the ancient soils of Sta. Rita Hills. The style of this wine will always be racier and predominately neutral barrel fermentation. PROFILE: mineral, yellow peach, fresh rain, Asian pear, salinity, candied ginger, lavender cream. Sadly this is the vintage for the iconic Patrick Bize, who died after a tragic automobile accident in 2013. Patrick has cemented his legacy as an outstanding winemaker with an amazing effort in the very tricky 2012 Vintage. Yields were down almost 70% from a normal yielding vintage, we bought everything our distributor had of this wine, it is an amazing expression of Chardonnay. Our Pinot Blanc tends to be a fan-favorite, An explosion of aromas welcome you; apricot, banana and lychee combine with notes of apple on the nose. An invitingly fresh tangerine flavor is followed by grapefruit and lime zest. 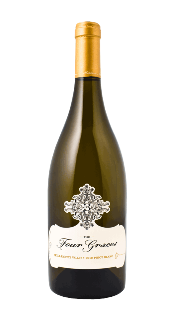 Stainless-steel fermented to showcase the fruit and to offer pleasing balance; pair with Dungeness crab, creamy pastas or sip as an aperitif. Super special, best price in the country! 2008 Col Solare Red Wine Columbia Valley...in store special! From an extended vintage that saw solid hang time, the 2008 Col Solare (67% Cabernet Sauvignon, 20% Merlot, 10% Cabernet Franc and 3% Syrah) shows a cool, elegant profile with black currant, mineral, smoke, wild herbs and graphite along with a medium to full-bodied, fresh and pure palate. Featuring clean, integrated acidity and a layered, pure profile, it has the structure to continue evolving gracefully for another decade or more. Drink now-2023. 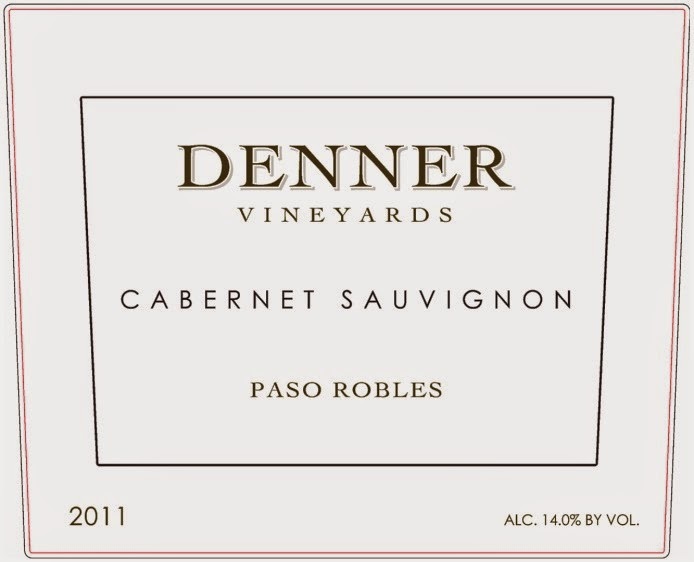 One of the highlights in this range, the 2011 Cabernet Sauvignon is a drop-dead gorgeous beauty. Blackberry jam, cassis, grilled herbs, menthol and smoke all jump from the glass. The juicy, exuberant fruit is pure Paso, while the aromatic and savory notes are those from a long, cool growing season. A hint of dark spices from the 80% new oak lingers on the finish. Readers will have a hard time finding a California Cabernet Sauvignon that delivers this much quality and pure pleasure for the money. In 2011, winemaker Anthony Young decided to bottle one lot of his Mother of Exiles Cabernet Sauvignon on its own, which turned out to be a brilliant decision. What a gorgeous wine this is. "Clear as rainwater. I favorably respond to the toasty, grainy smell of wheat snack crackers that greets you after the pour... Entry is sturdy, moderately viscous, cereal dry yet with a beany bittersweet aspect thatís very charming; mid palate is long, significantly sweeter than the entry, creamy in texture and vanilla-like. It is rare that I come across an unflavored grain-based vodka with as much layering, depth of flavor, character and ribbony texture. Tasty enough to quaff neat and slightly chilled." 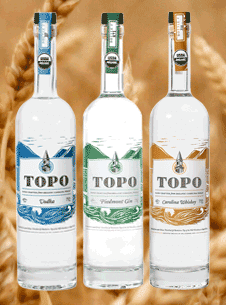 "TOPO Piedmont Gin is really interesting on the nose. The juniper is there, but itís subtle. More prominent are some soft, sweet vanilla aromas, plus some fruit, cardamom and a bit of mint. Drink up and you'll get more cardamom, some cucumber and plenty of citrus...This is an easy-drinking gin. Especially at 92 proof...And one thing we like the best: its base spirit, that soft winter wheat, is never overpowered. 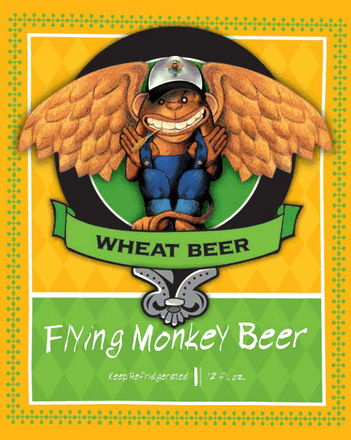 The sweetness of the wheat shines through to mingle with the botanicals." "Fudge and clay soothe on the first whiff, evolving to an earthy vanilla bean note. A clean, pure sensation is buoyed by the lightweight texture and peppered fudge in the mouth. The taste lingers, a generous spread of its wonderfully sweet character." Ahh Dey Ahh Dey, RRRRico Ahh Dey Ahh Dey Saaaauvin! 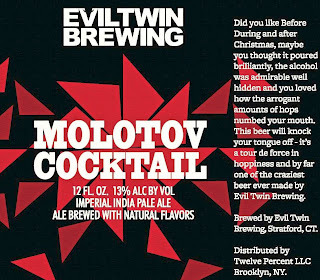 An India Pale Ale featuring Nelson Sauvin hops. Named after the Sauvignon Blanc grape, is a variety of hop developed and grown in New Zealand. It has a strong fruity flavor and aroma that is described as resembling white wine, or fresh crushed grapes or gooseberries. 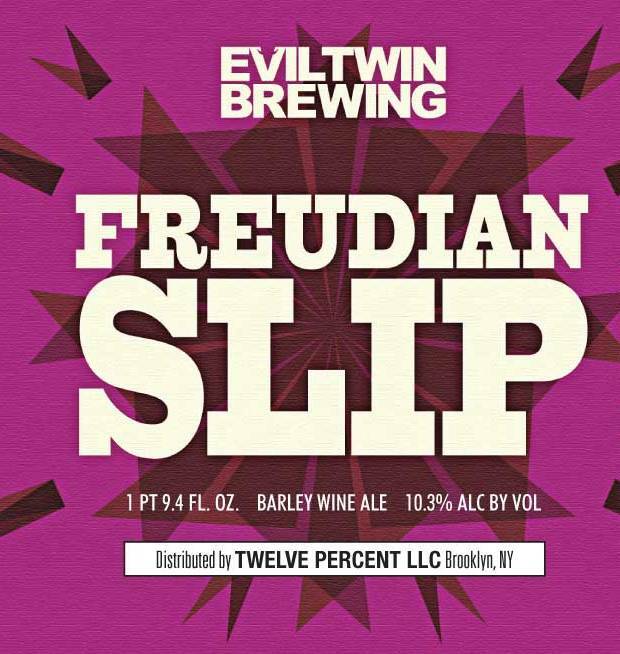 Some reviewers of this hop perceive the fruitiness as being very tropical with descriptions including passion fruit, tangerines, and grapefruit. These hops are organic and are about 4 times as expensive as our normal American varieties, hence the footed glass only. left over, we’re gonna fly you all down here to help us dedicate it. Not your typical “Jelly of the Month Club” beer. Dark roasted malt and bittersweet cocoa and coffee flavor and aroma burst from this pitch black milk stout. The full body and sweetness are derived from the addition of lactose (aka milk sugar) which is not fermentable by beer yeast. A healthy dose of Nugget and Crystal hops provides a counterpoint to this ale’s rich and complex maltiness. 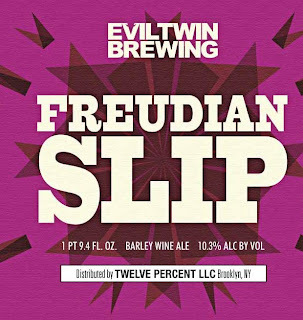 Evil Twin back in stock! Perhaps you heard of a worldwide beer-movement that tributes favorite hipster neighbourhoods across the globe. First came Istedgade, Copenhagen then Södermalm, Stockholm followed by Williamsburg, New York and Shoreditch, London accompanied by Trastevere, Rome & last El Raval, Barcelona. 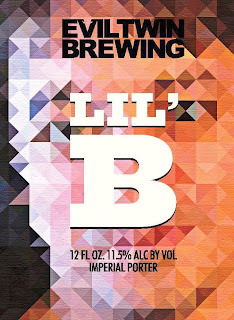 If you feel excluded because you’re hip but your city is not, this cutting-edge, ‘hip without borders’ pale ale is an homage to you – the global hipster. Cheers! Belgian Stout. 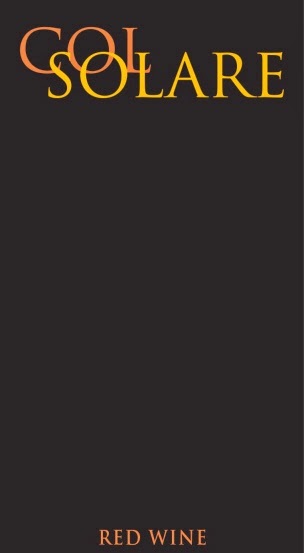 It is a top-fermented beer with a dark, almost black color. Has a dense head. Its taste is well-balanced and keeps the middle between sweet, creamy and bitter. 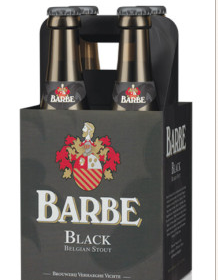 “Barbe Black” is brewed with deeply roasted malt. 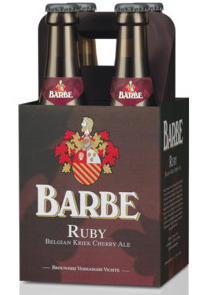 Fruity beer in the series of “Barbe” beers. Its taste has aromas of fruit with hints of almonds and light sour cherries. The taste is initially sweet and fruity and keeps nicely the balance with a refreshing aftertaste. Deep amber color. Rich aromas of toffee and vanilla, which small casks produce in abundance. 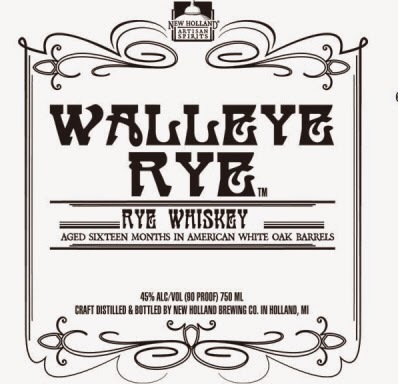 Walleye Rye is mashed and fermented - in house - with a grain bill of 60% rye. Twice distilled to around 140 proof and aged in new 10-gallon American oak barrels with a heavy char. Deep amber copper color. 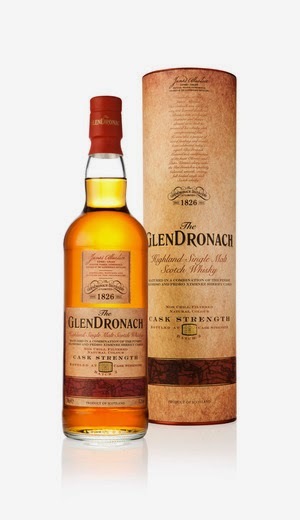 Rich aromas of caramel, vanilla and wood spice, which small casks produce in abundance. This complex whiskey opens with burnt sugar and rich mouth feel. Moving to cinnamon and clove. The finish is strong with a subtle smoke flavor. 86% Malted barleys (2-4, Munich, smoke, chocolate) 14% Malted rye Brewed, Lautered and Fermented in house. Twice distilled to 140 proof. Matured in American white oak barrels (8 - 10 gallon) with a heavy char. 9-month maturation time. Filtered and bottled at 90 proof. 1 bottle in stock now! A.H. Hirsch Reserve is the manifestation of the American spirit. This exclusive bottling is the last small batch of A.H. Hirsch Reserve- all that is left to this historic treasure. Available in a humidor commemorative gift set. Widely acclaimed by authorities, A.H. Hirsch Reserve is that complete rarity: a whiskey of such uncompromising quality and individual character that words simply cannot do it justice. A thick-textured whiskey, which coats the mouth. Rich, complex flavors, very spicy, with plenty of mint, evergreen, dried apricots, toffee, and vanilla. Long soothing finish. A.H. Hirsch Reserve is the manifestation of the American Spirit. This extraordinary bourbon had a long, dramatic journey from its inception to this final bottling. In fact, the history behind A.H. Hirsch speaks volumes about why it is not just the finest American bourbon ever made, but indeed a rare national artifact. On the last day before prohibition, the line outside Michter's Distillery stretched 2.5 miles. Customers came on that cold day in 1919 to fill casks, bottles and tin cups and to drink their last rations of legal whiskey. A.H. Hirsch Reserve is a complete rarity- a whiskey of uncompromising quality and individual character. Matured in oak casks for 16 years, this whiskey shows the difference that traditional cask ageing makes. A must-have for any whiskey lover. This is an exquisite, keepsake presentation for the last remaining bottles of the legendary A.H. Reserve 16 year old Bourbon. The humidor is handcrafted mahogany, and includes a scroll with an in-depth look at the spirited history of Michter's Distillery, a certificate of authenticity, a custom made heavy-metal T-Cork, and the one-of-a-kind (soon to be 'none-of-a-kind') - A.H. Hirsch Reserve 16 year old bourbon. The bottle is hand-blown and numbered. Very limited releases. Corazaon Tequila finished in famous Bourbon and Rye Barrels. 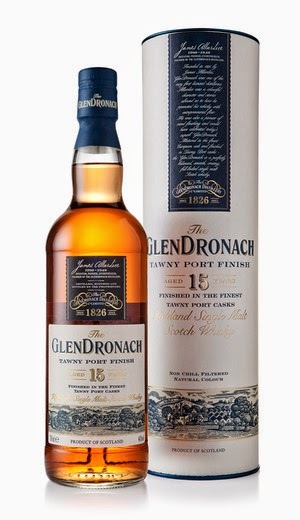 The Glendronach Tawny Port Wood Finish expression was initially matured in European oak and thereafter finished its maturation in a very small batch of tawny port barrels. Non-chill filtered and of natural color. Stewed damsons and plum conserve. Raisins, sultanas and fine grand cru chocolate provide lovely depth and structure. Prominent rose wine hue, built around a light copper orange core. Fruit shortcake drenched in vanilla custard, with a scattering of dried figs, dates and wild strawberries. Smooth tannins and light acidity highlight a wonderfully long finish. Cask strength and matured in a combination of pedro ximenez and oloroso sherry casks. Non-chill filtered and of natural color. Rich golden amber with a crimson heart. Wonderful rich aromas of honey drenched raisins and sultanas. Candied ginger and orange peel are spiced with a beautifully delicate back note of warm oak. A perfectly balanced traditional sherried character. 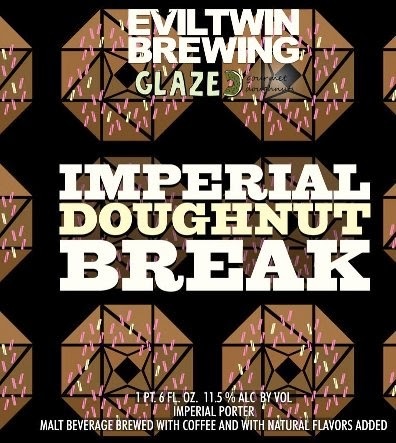 An explosion of chocolate coated raisins and zest of orange, mellowed with sweet warm oak spices, hints of soft toffee and gentle sugared almonds. A uniquely balanced classic finish.